We found shaved ice in New York! Then again, you can find everything here. 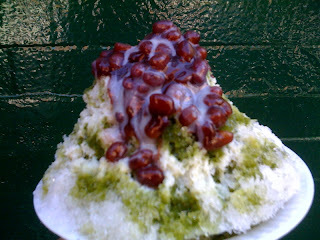 Azuki bean bowl with condensed milk reminds us of our hometown treat, except this one has green tea. This is the perfect cool-me-down summer treat. Worth the brain freeze.